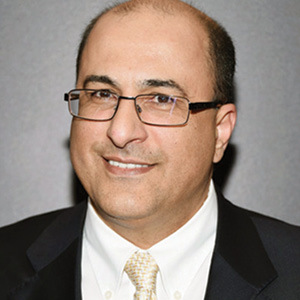 Ambassador Ido Aharoni, will speak to students and parents on May 9. The Anti-Defamation League’s (ADL) most recent “Audit of Anti-Semitic Incidents” indicates that almost 80 anti-Semitic incidents happen every month around the country—many involving children, teenagers, and young adults. Incidents range from verbal and written taunts promoting anti-Semitic stereotypes to threats of violence and physical assaults. Many incidents go unreported. In addition, ADL-commissioned focus groups of high school students confirm that anti-Semitism continues to be a part of the lives of Jewish youth. Participants report hearing jokes and stereotypical remarks about Jews’ appearance, customs, and behaviors; seeing swastikas on school desks, bathroom walls, and locker doors; and pennies being thrown at Jewish students. Anti-Semitic cyber hate also invades the once safe haven of students’ homes. The Community Relations Council of the United Jewish Federation of Tidewater is partnering with BBYO and OSTY to offer a two-part series for Jewish high school students and their parents where they will gain the resources and tools to strategically respond to those acts of anti-Semitism and anti-Israel rhetoric. The first program features the ADL, as well as Ambassador Ido Aharoni, UJFT’s CRC and community partners’ Israel Today series’ visiting expert. Created by the ADL for high school students, Empowering Students to Address Anti-Semitism is an interactive education program, designed to help Jewish youth, young adults, family members, teachers, and community members address the changing face of anti-Semitism by increasing their understanding and awareness of anti-Semitism and anti-Israel bias; countering anti-Semitic stereotypes and anti-Israel myths with accurate information; and providing resources and skills to respond to anti-Semitism in any form. Israel’s former Consul-General to the New York and tri-state area, founder of Brand Israel, and a professor at NYU’s School of International Relations, Ambassador Ido Aharoni will talk about the threats and opportunities of the rapidly growing anti-Israel movement on college campuses. He will dive into the history of the Boycott, Divestment, Sanctions (BDS) movement and its long-term goals, and propose a solution to the problem. The second part of the series will include a pre-Shabbat gathering on Friday, May 17, where the last of the visiting 2018–2019 Israel Today experts, Artists 4 Israel, will lead a project in the name of advocacy. To RSVP (required) or for more information on the series, contact Melissa Eichelbaum, assistant CRC director, at MEichelbaum@ujft.org or 757-965-6107. 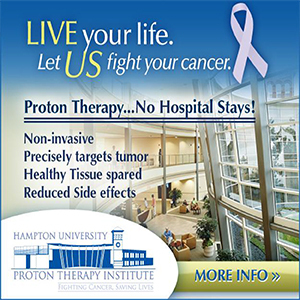 Funding in part, provided by the Tidewater Jewish Foundation.